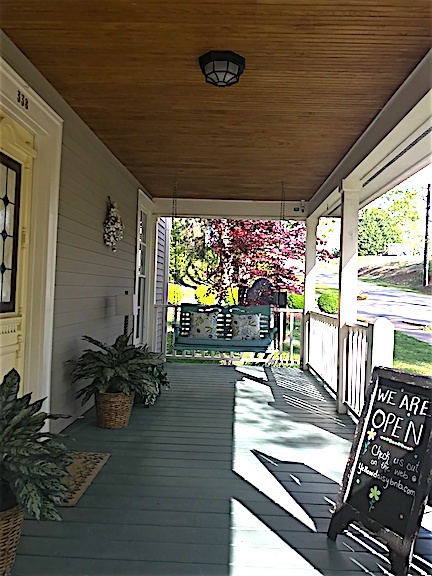 Welcome to the Bed and Breakfast Inns of Dahlonega, in the heart of Georgia Wine Country. 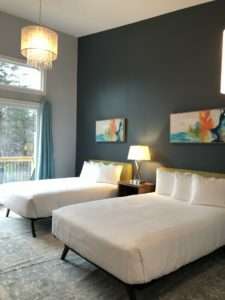 Your place for the best places to stay in the Dahlonega, North Georgia area to create an experience not just a visit by staying at a Bed and Breakfast Inn in the North Georgia Mountains. Combine your stay with a relaxing Spa treatment at a place with a mountain view. 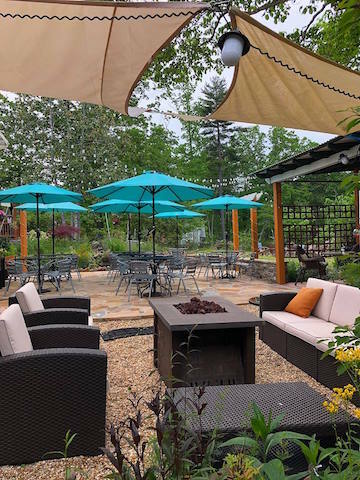 Visit one of the local wineries, or all six of them, take a hike to one of the many waterfalls or the Appalachian Trail, or just sit and relax in the mountains. 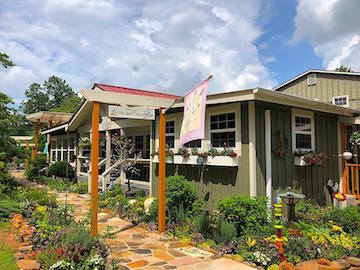 Dahlonega is known for being the site of the first major historic gold rush in America, and there are a few places still left to pan for gold, and visit the Gold Museum located in the town square of Dahlonega. Dahlonega is also the official Wine Tasting Capital of Georgia. 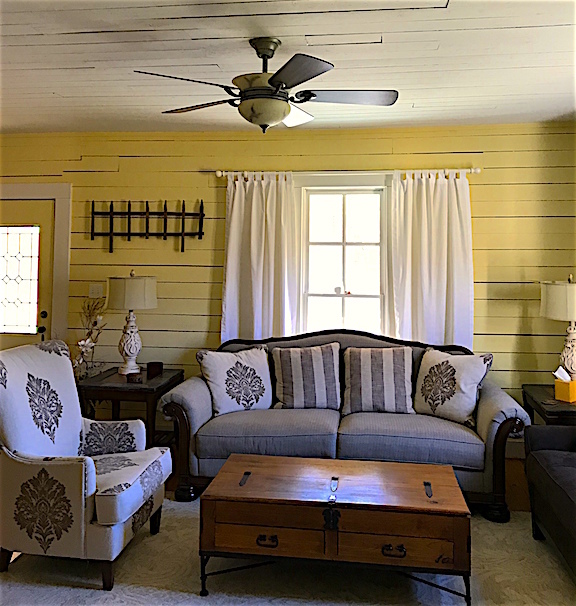 Come and stay at a classic country home furnished with antiques and unique treasures awaiting you at the end of a curving drive leading to a hilltop retreat. For more privacy, choose a room in the hillside "cottage" lodge with a fireplace, a deluxe bath with a jacuzzi tub and a private deck in a woodland setting. All our rooms include a hearty breakfast that is served from 8 am to 9 am. Coffee is usually available about 7:30 a.m. 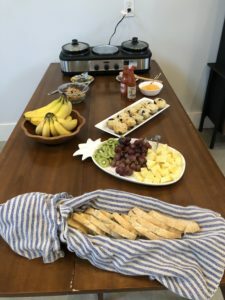 Some breakfast items you might enjoy on any given day are crustless mini quiche, with vegetables and/or meat and cheese, seasonal muffins, variety of breakfast meats, seasonal fruit and all the juice, coffee and tea you could imagine. 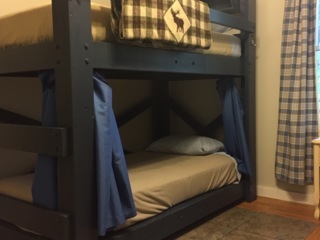 Some of the amenities included in each room are: refrigerators stocked with water, ceiling fans, alarm clocks, cell phone plug-ins, shampoo, conditioner, soap. You will also have access to an iron/ironing board, hair dryer, wine glasses and cork screw. 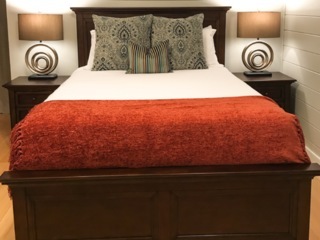 Barefoot Hills offers modern guest rooms and brand-new furnishings with one to four bedroom layouts, as well as luxury private cabins featuring eco-friendly design. 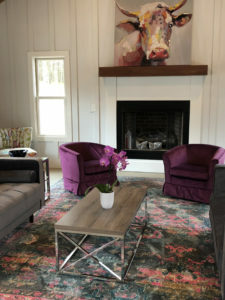 Barefoot Hills is a perfect location for destination weddings and large group retreats. Romantic and secluded, we are a twelve guestroom European chalet/lodge. The lodge is surrounded by 9 acres of woods and a hidden swimming pool and waterfall. 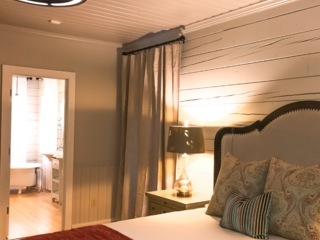 The suites and guestrooms are historically themed and tastefully furnished. 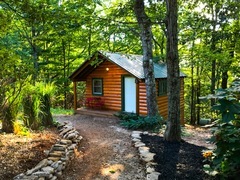 Other amenities include gazebo, treehouse, , forest paths, wifi (fiber optic), and tv. Our gourmet breakfasts and hospitality are raved about by our guests. The Tango suite has Jacuzzi tub, walk in shower, fireplace and patio. 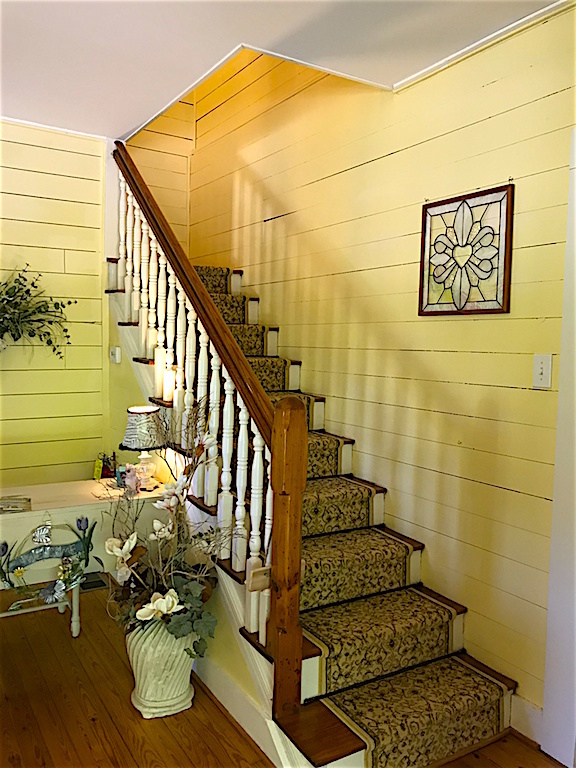 Only 12 miles to the Dawsonville Premium Outlet Mall and 4 miles to Dahlonega’s Historic Square; 2.5 miles to Accent Cellars; 7 miles to Montaluce and 8 miles to Wolf Mountain Vineyards. This beautiful inn is tucked away in the quaint mountain town of Dahlonega, Georgia. 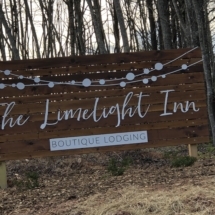 Downtown Dahlonega is located 5 short miles away and Amicalola Falls is only 11 miles from the inn. There are 11 private rooms on site that operate similar to an Air BNB. There is no check in desk, nor onsite staff. 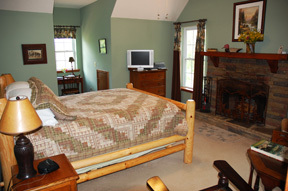 The inn has 3 king and 8 double queen rooms, each with their own private deck overlooking the forest. A continental breakfast is included with your stay and will be served in the brand new hospitality building with fireside lounging. Full facility private rentals are available to groups. 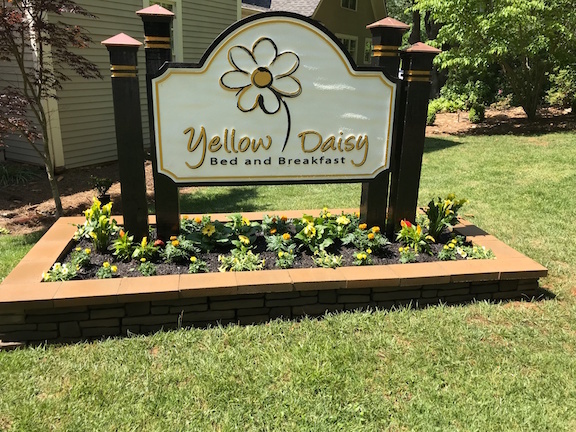 Dahlonega's premier Inn & Spa, right in the middle of Dahlonega's wine country. We're your place for that special mountain getaway. Seven deluxe suites, all with whirlpool tubs for two, separate showers, private balcony and sitting areas with gas fireplaces, a salt water swimming pool and spa, plus a one bedroom self catering guest cottage, Dancing bear Cottage. 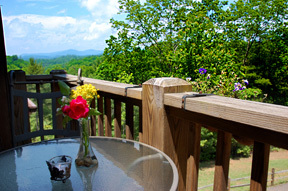 Great mountain views and scrumptious breakfasts. 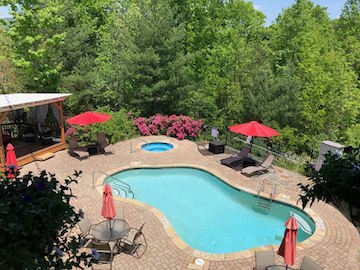 Also features the Oasis Spa at Mountain Laurel Creek, offering massages and facials by appointment, changing rooms with dry sauna and showers. 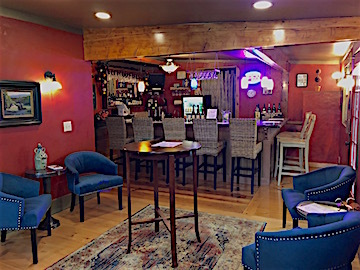 We also have our own Copper Penny Pub, were we feature wines from all our local wineries in the area and the Dahlonega Plateau AVA. 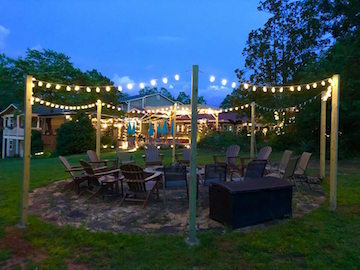 We also can do small events in our outdoor cafe, or spa relaxation room (bridal spa parties, girlfriend getaways...) Southern Living rated us as the best place to stay while in Dahlonega. Affilite Members of Inns of Dahlonega.